Migrating from MailChimp involves several steps. We recommend following the steps in the order found in this article. This will allow you to start collecting new leads via ONTRAPORT web forms, and then work on migrating the rest of the information over. Several steps import from MailChimp so we recommend completing all of the steps prior to closing your MailChimp account. If you want to start fresh with only your contacts moved over, see the Importing Contacts section. A video showing all the steps necessary is also available in that section. 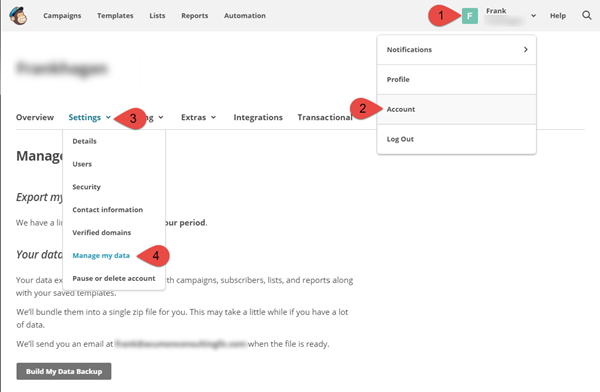 In your MailChimp account access the main drop down menu (1), click Account (2), then Settings (3) and Manage My Data (4). Click the Build My Data Backup button. MailChimp will notify you when your data backup is ready for download. Download the zip file and unzip it to your computer. The data backup will contain folders with your account information. We will refer to these folders in each of the steps below. 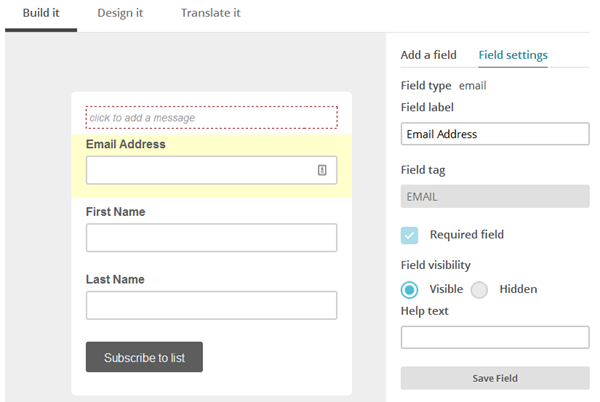 In MailChimp a signup form is automatically created per list. 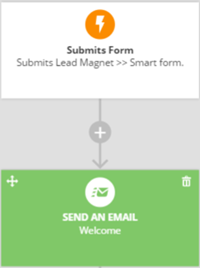 In ONTRAPORT, opt-in forms are global, created at will, insanely flexible and allow you to segment your contacts based on a wide number of factors. ONTRAPORT uses a single database for all contacts, so you don't pay for a contact more than one time. To segment contacts we recommend using Tags. Tags are used in place of separate Lists to filter contacts into Groups; as you'll see this is a much more powerful, flexible system. 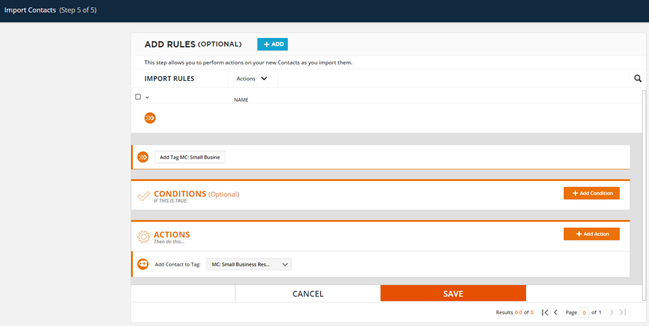 We will use Tags when recreating your MailChimp web forms in ONTRAPORT. Log into MailChimp in one browser window, and ONTRAPORT in another. In MailChimp. click on Lists and then select Signup Forms from the drop down menu next to the first List. View the number and type of fields on the form, taking note of the Field Settings tab that shows which fields are required. 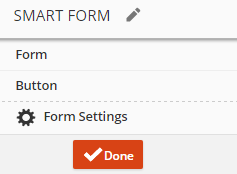 We will be duplicating that form in the ONTRAforms editor. In ONTRAPORT you can create a complete stand-alone landing page for your form using ONTRApages, or create an ONTRAform for insertion on your own existing webpage. See the appropriate section below. Use this technique to create an opt in form for your website to replace your current MailChimp webform. 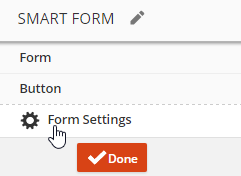 You can create static forms of any width, pop up forms, or "click to pop up" forms easily. 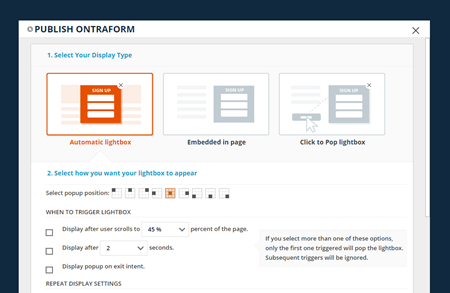 To create a stand-alone landing page with an opt in form follow the instructions under Webforms: Creating ONTRApages. The form fields are displayed in the Palette. In the Ignite template there is a Last Name field that is greyed out and has a red slider icon next to it. Because our MailChimp form had the Last Name exposed, click the red slider icon to unhide the last name field on the template. Our MailChimp form had just the First Name, Last Name and Email address fields. 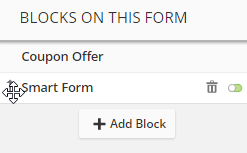 If you want to add more fields to this form, click the + Add button. • Label: the label is what the field is called on the form. The Last Name field could be called Surname on the form. • Required field: Check it for any fields you had required on the original MailChimp form. • Automatic Lightbox is a pop up form that has several options in step 2 to control how it is triggered and the placement on the page. You can pop up the form after the page loads, when the user scrolls a certain amount of the page, or when their cursor heads toward the "back" or "x" buttons (called "exit intent"). • Embed in Page provides a static display of the form on the page without any kind of pop up activity. This is a good choice if you are dedicating an entire page to your opt in. • Click to Pop Lightbox provides a link to click to opt in. 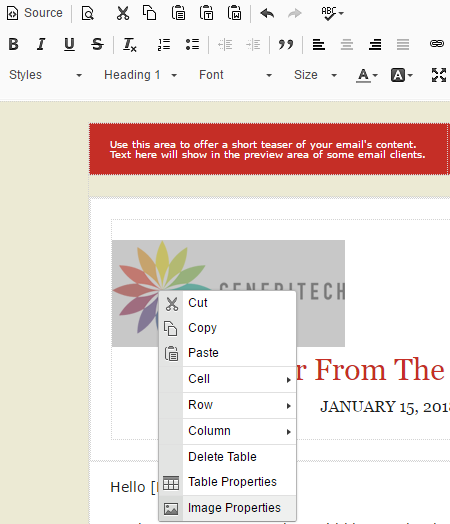 This option allows you to put a link anywhere on the page, including in a narrow sidebar, and have the full form pop up. Follow the instructions in the section below called "Recreate MailChimp Automation / Campaigns" before inserting your form code on your website. Use this technique to create stand alone landing pages with opt in forms. 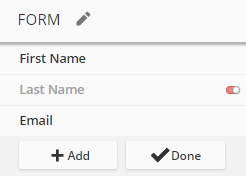 To create standard webforms for replacing your MailChimp webforms on your website, see Webforms: Creating an ONTRAform. The form fields are displayed in the Palette. 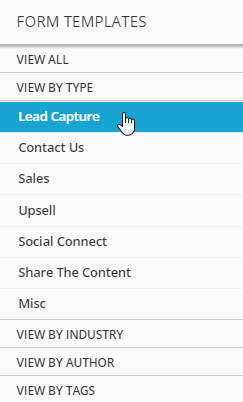 These fields match our MailChimp opt in form in this case, but we can add more fields by clicking the + Add button. We recommend selecting the ONTRAmail editor and creating a new email. This is easier than copying the email from MailChimp and having to change all of the embedded links and images that MailChimp includes. If you're strongly committed to converting an exported Mailchimp email template, this one minute video shows the process to convert an exported email template into an ONTRAPORT HTML email. 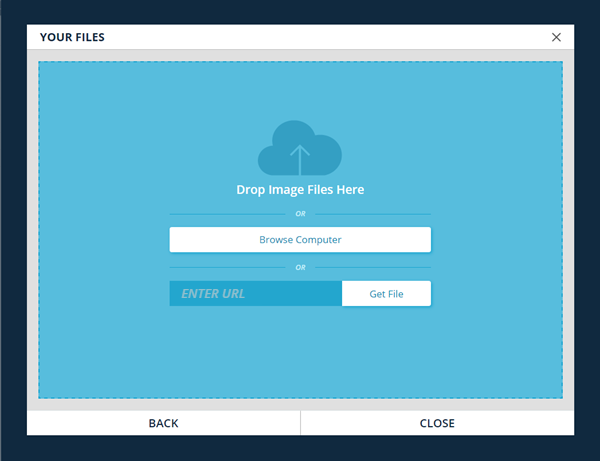 It includes the process to move the images used in the email template from MailChimp to ONTRAPORT. 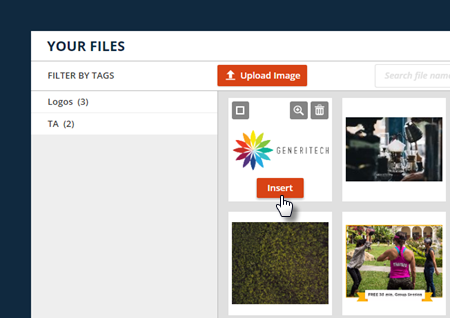 Navigate to the templates folder in the MailChimp data backup you downloaded. Double click on the template name to open it in your web browser. 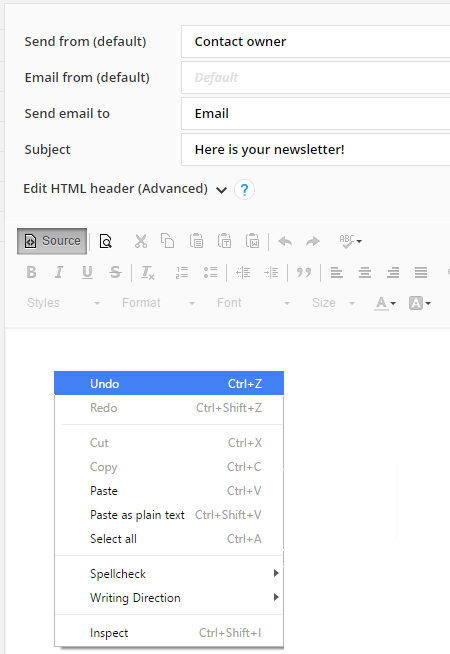 Right click on the rendered email template in your browser and select View Source. Right click on the code and choose Select All, then right click again and choose Copy. ONTRAPORT will copy the image from the MailChimp server and store it on the ONTRAPORT server, then return you to the Browse tab of the image manager. Click on the image and click the Select Image button. Click the OK button on the Image Properties dialog to return to the email. Repeat this process for each image in your message template. Name your email (1), using a naming convention prefix such as "MC:" and indicate it is a template. Give it a Subject Line (2) and then click Save (3). 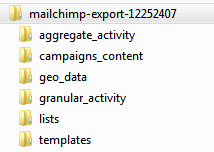 The campaigns_content folder in your MailChimp data backup contains the email messages from past MailChimp campaigns. If you want to save a copy of the email in the ONTRAPORT Messages library, use the process outlined above under Recreate Email Templates. While these migrated messages will not have any statistics associated with them, they will be available within your ONTRAPORT account to copy and reuse. There is no direct import of MailChimp Automation. We recommend opening your MailChimp and ONTRAPORT account in separate browser windows so you can re-create the automations as elements in Campaigns in ONTRAPORT. 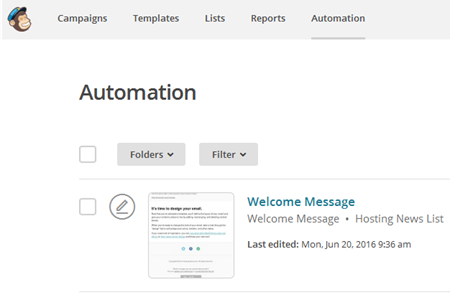 This example shows how to re-create a simple welcome message automation as a Campaign. Open your MailChimp account in one browser window and select the Automation tab. Hover over the Welcome message and click the Edit button. The automation will show the Trigger, and the Schedule, Segment and Action for the Welcome message. ONTRAPORT treats these items differently allowing you more flexibility for each opt-in form you have, as we'll see in a moment. Name the Campaign related to the automation/list you're migrating. You may also wish to add a note that the Campaign is adapted from the MailChimp Welcome Automation. 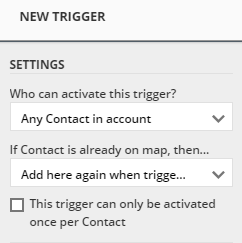 Below the Trigger on your Campaign map, add asend an email action element. Adding the element directly below the Trigger sends the immediately immediately. Wait elements take the place of the schedule option in MailChimp. You can choose to use an email you've already created in your ONTRAPORT account, create a new one or copy your Welcome message from MailChimp. We recommend selecting the ONTRAmail editor and creating a new email for your welcome message. This is easier than copying the email from MailChimp and having to change all of the embedded links and images that MailChimp includes. To create a new message in ONTRAmail, under the Send Contacts this Email pulldown, select +Create New Message. Enter a message name and click the Save and Edit button to create the message now. For instructions on creating an email using ONTRAmail, see this article. Once the message is created, skip to step 11. 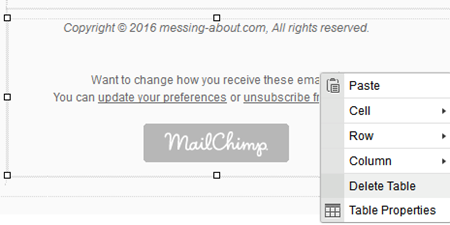 Edit the email to remove the MailChimp subscription information at the bottom of the message. MailChimp templates typically use tables for this information. Right click to select the table and select Delete Table. If you make a mistake, CTRL - Z will restore the recent deletion. Highlight and then use the Insert Merge Field drop down to replace the first name, company name, etc. information in the email. This converts the MailChimp merge fields to ONTRAPORT merge fields. Click the Save button at the upper right to save the new message. After a short delay you will return to the Email element on the Campaign map. MailChimp stores contacts in "Lists". The same contact may be on more than one List in MailChimp, and each appearance counts toward your total contact limit. ONTRAPORT uses a centralized Contacts Database so you don't pay for the same contact twice. Don't be surprised if you see less total contacts after importing your contacts! If you just want the First Name, Last Name, Company and Email address fields populated you can follow this Quick Import process. The MailChimp files are ready to import! This video shows the steps required. Each step is detailed below. In ONTRAPORT, click Contacts > Settings > Import Contacts. In Step 1 of the import process click Browse Computer and navigate to your MailChimp Export folder. Your active, opted-in contacts are in the folder Lists > Members (or, Lists > Subscribed). Note the name of the first List for the Tag we will add, and select it for import. Step 2 will open with a preview of the contacts in the List. Select the Do not import header row checkbox and click the Next: Import Settings button at the top right. In Step 3 of the import process leave the default selections as is. Under Usage Agreement read and check off the four conditions for using Contacts in ONTRAPORT. Make sure the screen looks like the image below and then click the Next: Match Fields button at the top right. 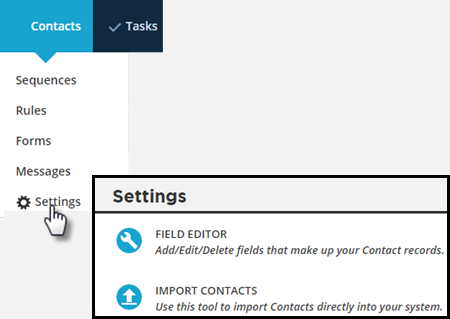 Step 4 of the import process presents the fields in your MailChimp List on the left, and allows you to match that data for import into the ONTRAPORT Contact Record fields on the right. Note that the first field, Email Address in MailChimp, has "No match" indicated in the drop down. Click the drop down and select Email. The Company, First Name and Last Name fields should match up automatically. If not, select the corresponding field from the drop down. For this simplified import, leave the rest of the fields set to "No match" as shown. Then click the Next: Add Rules button at the top right. On the final import screen, step 5, click + Add New to add a new Rule. Name the Rule "Add Tag MC:" and then the name of your MailChimp List. Under Then Do This select Add Contact to Tag and add the Tag "MC: <Name of MailChimp List>". In this example the Tag we are adding is from a MailChimp list named Small Business Resources. If the Tag does not exist yet, choose Create New Tag in the drop down and create it. 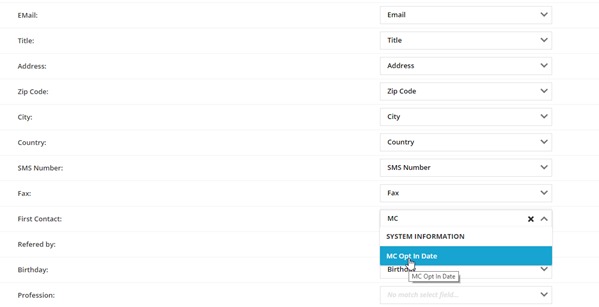 Our example Tag, MC: Small Business Resources, will be added to each imported Contact. Click the Save button to save the Rule, then, click Finish at the top right. Best Practice: Use a naming convention with your Tags. We are using "MC:" in front of the List name to indicate the contact comes from a MailChimp List. Want to add more tags? Click + Add New Action in the Rule and add another Add Contact to Tag: line. You can add as many tags as you want this way. Repeat this process for each of your Subscribed or Members Lists. 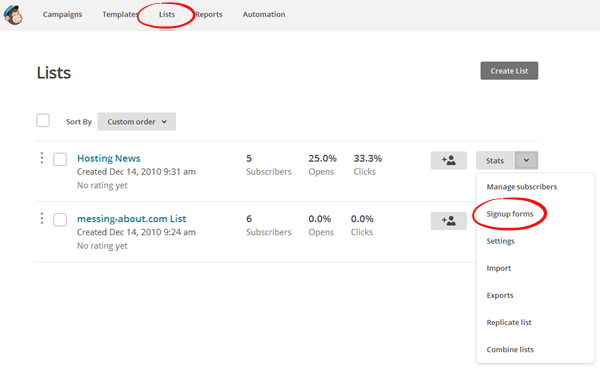 See the Import Use Cases section below to see how to import the cleaned or unsubscribed lists. Custom Fields are limited by the amount of data used. ONTRAPORT will not use the fields set by MailChimp for any of it's internal functions. For example, "Date Added" in ONTRAPORT will always represent the date the Contact was added to ONTRAPORT. To track the contact's original opt in date in MailChimp see the Custom Field Example use case below. You can add multiple tags during the import process if needed. Tags help you segment your Contacts into Groups, and can also be used in automated processes later. When you get to Step 4 of 5 in the import process select Create new field from the drop down next to OPTIN_TIME. The Field Editor loads. The System Information tab contains the ONTRAPORT Date Added field, and is a natural place to put the MailChimp original opt in date. Click + Add Field under the column that has the Date Added field. Name the field and set the Field Type as Date. Do not check off "This field is required". Click Save. Click the Save button in the upper right to return to the import process. You may have to select the new field again in the drop down next to OPTIN_TIME when you return to Step 4 of 5 of the import process. Continue to add more custom fields or continue with the import process. MailChimp provides a separate file for each of your Lists with those contacts that have unsubscribed. Because ONTRAPORT is also a great CRM with functions far beyond just email you can import these lists as well. In Step 3 of 5 during the import process check off the box to Import these contacts with bulk mail set to 'Transactional Only'. 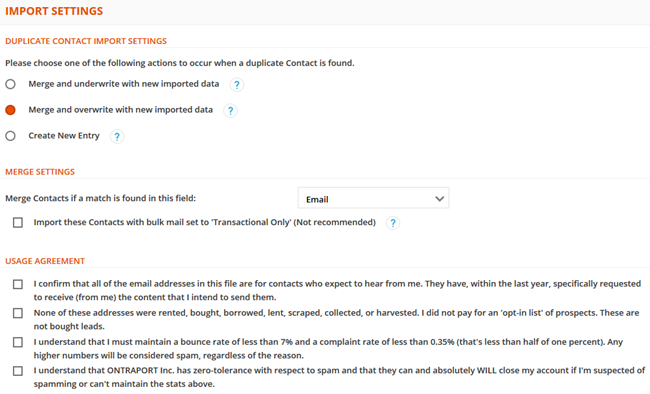 This will prevent ONTRAPORT from sending bulk email to these contacts, and avoid exposing you to spam complaints. 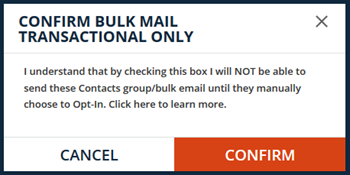 What can you do with Contacts with bulk mail set to 'Transactional Only'? Unlike just a mailing app, ONTRAPORT allows you to still interact with your customers even if they do not want to receive bulk email from you. Send an individual email to them from their Contact Record. Record their visits to Landing Pages via ONTRAPORT's built in tracking. Send them postcards (US addresses only). Send them SMS (they must opt in to SMS). Retain their history in case they opt back in. Record phone calls from or to them in the Contact Record. Use ONTRAPORT's IMAP function to keep track of their email to you. Q. How can I avoid sending the same email to a Contact if they were in multiple Lists in MailChimp? I got complaints because of this; sometimes I send the same email to my "Customers List" and my "Prospects List". Now they are in multiple Groups in ONTRAPORT so I'll have the same problem. Help! A. Instead of sending the email as a broadcast to each Group use a Step Sequence. Import the email into the first step of the Step Sequence with the time to send set to "Immediately". Then, in the Contacts Database, select each Group and subscribe it to the Step Sequence. ONTRAPORT automatically filters out duplicate additions to the Step Sequence so only one email will be sent to the contact, even if they are in multiple Groups. Q. Do you require all my contacts to double opt in again? A. No. If they were opted in on your other list we will allow you to import them and start mailing after approval. Approval may take up to 48 hours if your list is pulled for review. Please note that we watch both the bounce and complaint rate continuously; if you reach a 7% bounce rate or 0.35% complaint rate at any time we consider your mailings to be "spam". If you have any questions, need to "warm up" a list you haven't mailed in a while, etc., please be proactive and let our Postmasters help you succeed. Contact them at postmaster@ontraport.com. Q. What are you doing to ensure my emails get delivered? A. There are certain things an email service provider (ESP) does to ensure delivery. Our Postmaster outlined some of the things we do in this ONTRAPORT Answers post: How Does ONTRAPORT Promote Excellent Email Deliverability?